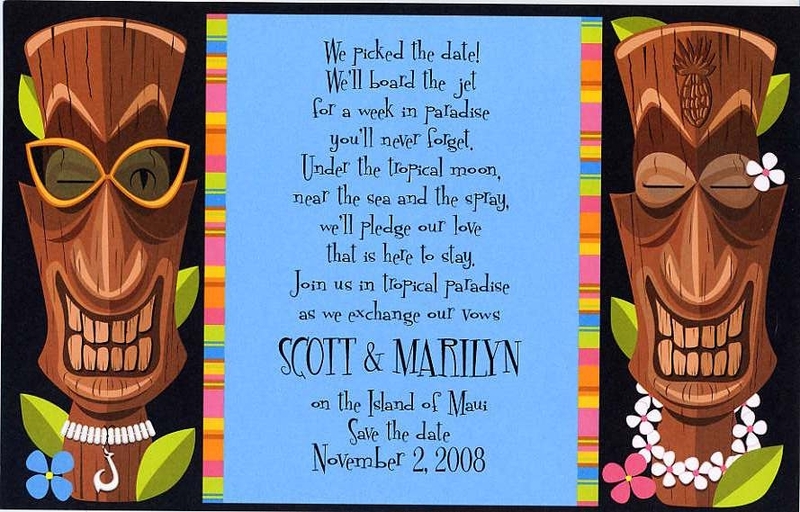 The humor in this winking tiki gods invite made us laugh! 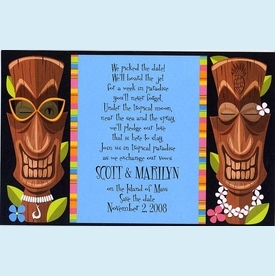 Fun art sets the tone for a wild and crazy tiki lounge luau party. Last 2 sets!